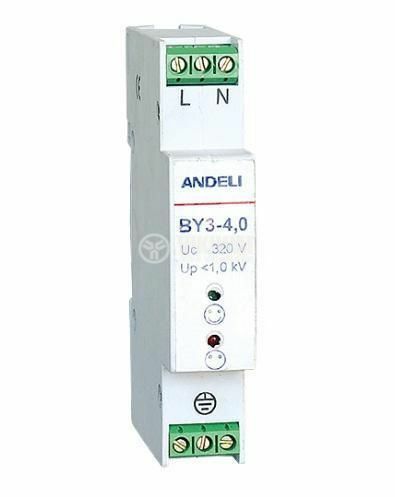 Surge protector BY3-4.0 320VAC, 10kA. automatic shut-down when detecting an input malfunction and recovering after the danger is dropped. degree of protection - IP20. Може да не ви се вярва, но една такава защита може да спаси оборудването и живото ви!